When I think of Valentine’s Day, I always think of chocolate covered strawberries. So, here’s a cute play on traditional chocolate covered strawberries. Step 1: Wash and slice the strawberries in half. 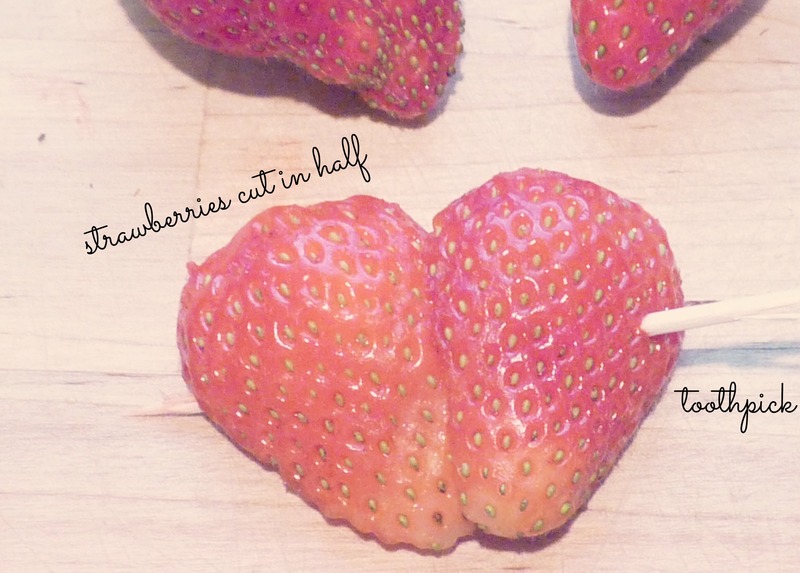 Step 2: Slide a toothpick through 2 strawberry halves to form a heart. Step 3: Melt the chocolate chips in the microwave in 30 second integrals. Step 4: Dip strawberry hearts in melted chocolate. Step 5: Melt the white chocolate chips in the microwave in 30 second integrals. Step 6: Drizzle the white chocolate over the strawberry hearts. 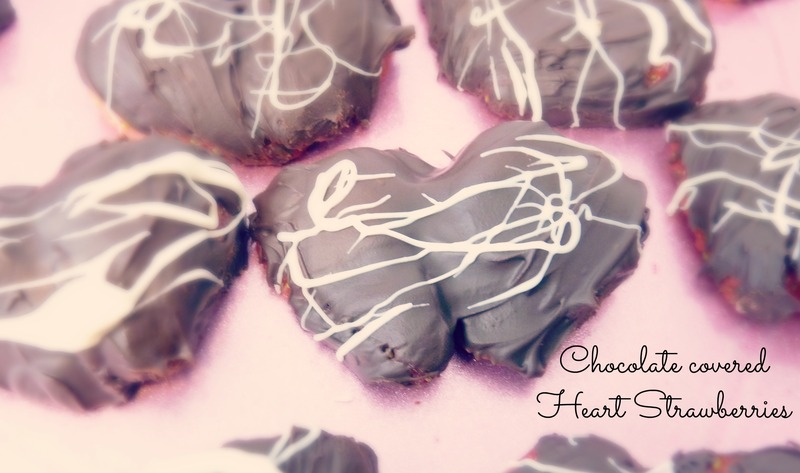 This entry was posted in DIY Projects, Recipes and tagged chocolate, chocolate covered strawberries, heart, strawberries, valentines. thecraftcomplex on My granola bar OBSESSION! Ani on My granola bar OBSESSION!